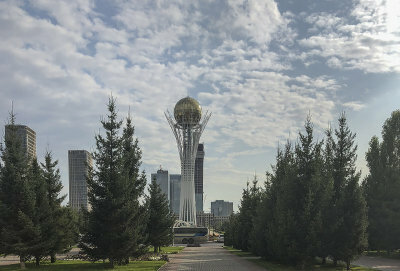 Astana, the capital of Kazakhstan, is a planned city built in the middle of the country’s steppes, close to the Russian border. Taken on the way to the airport, this picture shows the city in the distance at left. 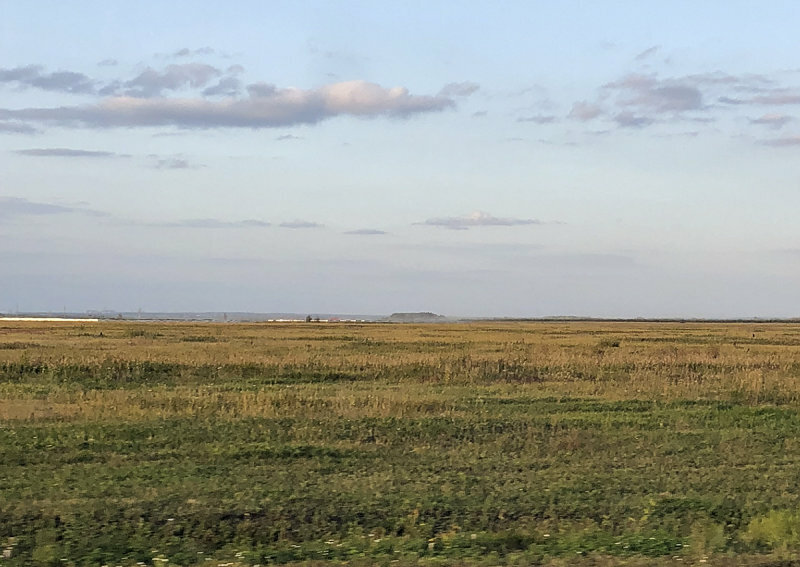 Tim said there is absolutely nothing else near it except the vast plains. At least there would be nothing in the way to stop take off. How was he flying ? Oh my - a wasteland !!!! Wow, this looks like a wasteland!